A Year Through The Lens: Day 270 – Breaking dawn. 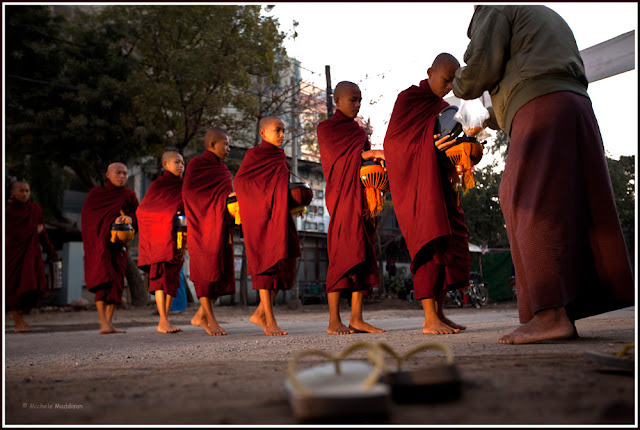 In the streets of Mandalay, the breaking dawn slowly creeps over the sky. The lines of monks wait, ready to go. Bare foot they walk single file out of the temple to collect their morning alms. Through the streets of the city, people come to pay their respects, and offer food. Sun rays break through the clouds, beaming over the streets. As the monks make their way back to the temple.